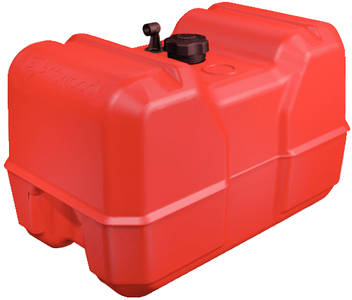 Fuel tanks are constructed of multi-layer coextruded HDPE and EVOH. Multi-layer tanks are the most robust and durable low-permeation tanks available and meet the functional and safety requirements of the harsh marine environment. Automatic vacuum valve ensures proper fuel flow and eliminates the need for manual vent. Compatible with 1/4" NPT fittings. 12 gallons without gauge.